The University of Miami Certified Professional Coach Certificate program is an in-depth, experientially-based training course for those pursuing a career in professional coaching, those who intend to earn a professional coach certification from the International Coach Federation (ICF), and those seeking to hone their communication and leadership skills. Through instruction by master coaches, lab work inspired by real-life coaching situations, and a curriculum focused on the core competencies of this flourishing profession, students gain skills and insight through deep theory and practical application. Professional coaching has existed for centuries in various forms, although the field is only now becoming recognized for what it truly is. Politicians and business leaders of years past always relied on advisers to help them choose the right direction, much like modern coaches do. But unlike counselors, consultants, and therapists, the goal of a professional coach is to help clients recognize, cultivate, and use their own strengths. The client is then able to solve their own problems and perform at top potential. CNN, The Wall Street Journal, and other high-profile media outlets have run recent stories on the popularity and success of professional coaching, and Forbes magazine declared that “the true manifestation of this movement will be explosive in 2015 and beyond.” Executives, managers, entrepreneurs, and other business leaders are using coaching services more than ever, while life coaches are making a strong impact on the personal lives of clients around the globe. In a relatively short time, professional coaching has blossomed into a thriving field with significant growth opportunities in the near future. Participants will gain an excellent foundation in coaching skills which can be applied to clients in all areas of business and all walks of life. The program also has specialized courses in coaching business issues and leadership, and includes instruction on personal coaching as well. During the lab classes, coaching theory becomes coaching reality as students handle actual coaching situations culled from real business, organizational, and executive clients. By completion of the program, participants will possess the knowledge and tools to successfully serve all clients at the highest level. The University of Miami Certified Professional Coach Certificate program has been recognized as an elite coach training program, and has been awarded the Accredited Coach Training Program designation by the International Coach Federation. The element that truly separates our program from that of other schools, however, is the experience of our instructors. Only 4% of ICF credential holders worldwide have attained the level of Master Certified Coach (MCC), yet every instructor in our program holds that coveted title. Our instructors are some of the most skilled and successful coaches in the business, with excellent reputations across the globe. They are also highly esteemed as coach trainers throughout the coaching community, so participants can rest assured that they are learning from the best. The program is perfect for those who intend to earn their Professional Certified Coach (PCC) certification from the ICF, because all graduates leave our program primed and prepared for that endeavor. Those seeking to work as a professional coach in any capacity, with any client base, will gain the solid foundation they need to succeed. And because coach training is a versatile and multi-faceted tool, this program is well-suited for anyone who wants to dramatically improve their ability to communicate and thus motivate, inspire, and empower others. Managers, teachers, doctors, lawyers, consultants, human resource professionals, business owners, and those in many other professions can all benefit from the skills learned here. The program is eleven months in length. The Certified Professional Coach program is taught through 140 hours of in-class work and weekly work outside of class. The class structure consists of three in-person weekends at the start, middle, and end of the program, which take place on UM’s Coral Gables campus. The intervening months of classes are taught via telephone, with students and the instructor joining for vibrant discussion via a telephone bridge. The Certified Professional Coach Program is a 140 hour, eleven month program designed for those interested in a career in coaching, who also want outstanding training in order to serve clients at the highest level. Additionally, it is designed for leaders, managers, human resource professionals, teachers, or service professionals (doctors, lawyers, counselors, consultants, etc) who want to dramatically improve their ability to communicate, motivate, inspire, and empower others. After completion of these 9 classes, students can qualify to take written exam if they also have 3 observed sessions and turned in written feedback. After completion of these 9 classes, students can qualify to take written exam if they also have 3 observed sessions and turned in written feedback. The price for the course is $6,995. Graduates of the program are qualified to work as a coach in a variety of fields including business coaching, executive coaching, life coaching, and personal coaching. Those interested in pursuing the ICF individual PCC certification will also find themselves well-placed for success. The University of Miami's program is specifically designed to meet the educational standards for that certification, and has already been credentialed by the ICF. Because students must demonstrate PCC level coaching skills, graduates who have successfully completed the program—including its final coaching exam—are currently not required to take the ICF's oral exam to obtain their PCC credential. Graduates still need to successfully complete the ICF's Coach Knowledge Assessment, designed to test technical coaching knowledge, but the UM coach training program thoroughly prepares students for that assessment. Graduates who wish to further their studies will be qualified to enroll in our Advanced Coach Training Program as well. What is coaching? 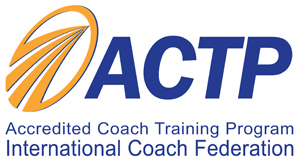 The International Coach Federation (ICF), which is the largest and most influential body of professional coaches, defines coaching as “partnering with clients in a thought-provoking and creative process that inspires them to maximize their personal and professional potential.” Professional coaches provide an ongoing partnership designed to help clients produce fulfilling results in their personal and professional lives. Coaches are trained to listen deeply, to observe completely, and to customize their approach to individual client needs. They believe clients are naturally creative, resourceful, and can create both powerful thinking and powerful answers for themselves. They seek to elicit solutions and strategies from the client. The coach's job is to elicit more fully the skills, resources, and creativity that the client already has and to help the client determine how to use those assets more powerfully and to greater results. I come from a professional background where my job is to give expert opinions and/or my friends and co-workers tell me that I am good at giving advice. Will these skills give me some advantage in becoming the coach? While these skills are excellent skills, the skills do not reflect the coaching process. Instead, as a coach, you will assist clients to create better thinking and more powerful ways of being for themselves. This practice of eliciting from clients and having clients create for themselves allows clients to engage in powerful and sustainable learning that can be replicated and used long after the coaching process ends. This process requires that you, as the coach, will have to stop giving expert opinion or advice. This is often one of the most difficult transitions for people seeking to become coaches, but once made, allows the coach to give control of learning and progress to their clients. Why choose to a career as a coach? Coaching continues to be one of the fastest growing professions in the country. Coaches can create an individual business, join a coaching company, or seek employment as internal coaches. Those who start private coaching practices may, with sufficient effort and confidence, create a successful business that gives them an excellent income, complete control of their time, and a chance to work with clients oriented to growth, change, and achievement. Coaches can also choose to coach part time to supplement an already existing income. In short, today's coaches have the ability to design the career and income they want in a way that best serves them and the life and business they seek to create. Why choose to acquire coaching skills as an executive, manager, human resources professional, or consultant?Many already accomplished leaders and professionals choose to add coaching skills to their toolboxes for working with people. They do so because a coach approach creates more powerful partnerships that yield more effective and powerful results. A coach approach improves communication, helps co-workers, subordinates, and clients gain clarity, establish self and group accountability, define breakthrough outcomes, and work in much more satisfying ways. A coach approach creates more inspiration and creativity and greater connectivity with others. Thus, most leaders and professionals find that the addition of strong coaching skills to an already excellent technical or managerial skill set increases the results they achieve personally and professionally. Are there independent professional organizations and certifications for coaches? There are no credentials currently required by any governmental entity in order to be a coach. There are, however, several professional organizations and credentials given by those organizations including the International Coach Federation (www.coachfederation.org), the World Association of Business Coaches (www.wabccoaches.com), and the International Association of Coaches (www.certifiedcoach.org). The decision to pursue a professional credential is individual for each coach. As with every professional, you should invest the time and energy necessary to learn about each professional organization, which organizations might serve you, what credentials they offer, and what requirements exist for each credential. You should also check frequently on websites as each organization controls the requirements for its credentials and those requirements can change. What is the largest and most well-known of these organizations? The ICF is the largest and most well-known independent association of coaching professionals. It has a well-established and respected credentialing program that has three levels of credentialing: the Associate Certified Coach (ACC), the Professional Certified Coach (PCC), and the Master Certified Coach (MCC). Each level requires progressively larger amounts of training as a coach, experience as a coach, supervision by an experienced coach of your coaching, and an increased skill level as a coach. The ICF also awards accreditation to coach training programs that have completed a rigorous application and review process and have met the ICF’s standards for quality coach training education. Is the University of Miami’s Coach Training Program accredited by the ICF? The University of Miami Certified Professional Coach Program has been awarded the Accredited Coach Training Program designation by the International Coach Federation. This designation now allows our certified graduates to apply for ICF Associate Certified and Professional Certified Coach credentials without having to take the ICF oral exam for these coaching credential levels. Most importantly, the designation recognizes that the Certified Professional Coach program contains the quality material to move students to the professional coach level throughout the course of the program. With this designation, UM has been recognized as one of the elite coach training programs in the country. Either a bachelor’s degree or five years of career experience. The Coaching Relationship, The Coaching Session, Hearing Deeply, Communicating Fully, Ethics, Encouraging Action, Learning Styles, Advanced Communication, Beyond the Coaching Conversation, Coaching Intensive Evaluation & Feedback, Presence Skills Lab, Coaching Business Issues, Practice Building I, Deep Hearing Lab, Language, Advanced Communication Lab, Practice Building II, Coaching Process Lab I, Coaching Personal Issues, Coaching Process Lab II, Coaching Leadership, Coaching Evaluation and Exam Prep, Looking Forward in Using New Skills. After 11 years in private law practice, Margaret transitioned to coaching in 1994 at the start of the coaching profession. With over 20 years of coaching experience, her broad range of clients includes Fortune 500 companies, C-Suite and senior executives, and executives and professionals in the sectors of financial services and law. Margaret coaches issues of significance for her clients, including executive and leadership development, strategic planning with bottom line results, team communication and growth, individual brand development and professional progress, as well as mentoring advanced coaches in continued growth of their coaching skills. Her international client base extends throughout the United States and to Europe and Asia. She has coached over 2000 clients and has coached individuals and teams in 26 different countries. She is also mentors coaches at all skill levels. Margaret is also a pioneering leader in the coaching profession. She has received the Master Certified Coach designation from the International Coach Federation. She was chair of the credentialing and continuing education committee for six years until 2005, chair of the ICF Research and Education Committee, and chaired the Education Committee for the ICF 2007 International Conference which served 1800 coaches. In addition, she is former vice president of the ICF, past chair of the ICF’s Application Review Committee, and is currently a core leader of the ICF’s seminal three year project changing the scoring and building an assessor training for the ICF’s credentialing system. She is the recipient of the ICF’s President’s Award (2013) and Jennifer White Award (2003) for Outstanding Contribution to the Coaching Profession. Prior to coming to the University, she was a senior instructor in four coach training programs and had taught coaching skills in 9 other programs on four continents. As a sought after presenter, Margaret has been a featured speaker and workshop leader to businesses, executive teams and conferences around the world She is a featured author in the Rutledge Companion to International Business Coaching, Working Wisdom, and The Law & Ethics of Coaching. Bobbi Gemma is an ICF Master Certified Coach with more than two decades experience in coaching and training. Bobbi's business background covers a broad spectrum ranging from owning three businesses to project management in corporate, academic and non-profit organizations as well as outplacement counseling. Her client base ranges from executives in Fortune 500 companies and community leaders to small business owners and individuals facing the constancy of change and transition. She has also provided coach training within organizations across the country. Bobbi has been a leader in the coaching profession, is a founding member of ICF and has been active in helping build the profession since 1995. She was founder and chapter leader of Coastal Carolinas chapter of ICF, Southeastern Regional Leader for ICF, Chaired the 2003 SE Regional Coaching Conference and is a current member of the ICF Assessor Team. Bobbi has authored one book and been a contributor to others. She has been a guest on radio and television talk shows and is a speaker at regional and national conferences. Molly Gordon has been coaching since February, 1996, when a consulting client sent her a Newsweek article about Thomas Leonard with a note saying, "This is what you really do." From that moment on she has said YES to coaching at every turn. Molly trained with Academy for Coach Training (now InviteChange) and The Newfield Network. She's also done extensive training in Embodied Intelligence and Process Work. Since leading her first workshop at the 1998 ICF Conference in Orlando, Florida, she's presented at numerous regional and international coaching conferences. Molly was a founding member of the Puget Sound Coaches Association and, as President of the Board, spearheaded the initiative to make PSCA a chartered chapter of ICF. She has been the chair of the ICF's Chapter Leadership Committee and a member of the Credentialing Committee. In 2003, Molly earned her Master Certified Coach credential and since then has been active as an assessor in the ICF's credentialing program. Molly has designed and developed numerous courses including Authentic Promotion, Authentic Wealth, and The Empowerment Dynamic for Coaches. She was a pioneer in the use of technology to deliver virtual training and has been leading teleclasses since 1998. Dr. Joel M. Rothaizer, MCC, is an executive coach and organizational consultant with extensive training and over 30 years’ experience in understanding the functioning of both organizations and the people within them. His focus is on leadership development, executive coaching and team/organizational effectiveness. He assists leaders in finding versatile styles that are more successful, authentic, and energizing. He assists teams and organizations in creating results-oriented cultures vitalized by collaboration and partnership, incorporating the alignment of clear hierarchy with the engagement and productivity of self-governing teams. A Licensed Psychologist and Certified Business Coach, he is also on the faculty of the University of Miami Certified Professional Coach Program as well as a Certified Enneagram Teacher and Holacracy™ Practitioner. Underpinnings of his work include Contextual Thinking (understanding behavior by first looking outside the person, rather than inside), Developmental Thinking (the different leadership “operating systems” that are increasingly more effective for dealing with complexity, ambiguity, and rapid change), Complexity, Polarity Management, Leadership Versatility, and Living Systems. The International Coach Federation has designated him a Master Certified Coach, their highest credential. He is one of only two coaches in Alberta with this designation. Joel assists his clients in focusing on root causes rather than on energy-sapping symptoms, and in discovering unique and elegant solutions to seemingly complex problems. His clients have included Government of Canada, Ledcor, HSBC, AT&T Bell Laboratories, Province of Alberta, General Electric, IBM, ADP, Alberta Health Services, Skidmore Owings & Merrill, Italian Centre Shop, ATCO Structures & Logistics, University of Calgary, Rehrig Pacific, New Belgium Brewing, PeopleSoft, Hagemeyer, Mellon, Wide Open West, StorageTek, Sanofi-Aventis, Ferrellgas, and Los Alamos National Labs. He and his partner, Sandra Hill, are currently providing leadership effectiveness training for the top 800 leaders in the City of Edmonton. Tracy's business experience includes 35+ years of diverse corporate and entrepreneurial experience and has positioned her among the most sought after leadership coaches and public speakers. Specializing in effective communications, organizational development and leadership skills, she has coached people around the world for more than 25 years, accumulating over 20K hours of coaching. Her work takes her to Australia, South East Asia, Japan, Indonesia, Turkey, Netherlands, the United Kingdom, and Scandinavia as well as all parts of the United States and Canada. Trained in professional corporate coaching by Corporate Coach U (CCUI), Coach U, CoachWorks International, The Experiential Learning Center and The Center for Creative Leadership, Tracy has obtained the highest designation in the profession of coaching - Master Certified Coach. Additionally she has been awarded the designation of Professional Mentor Coach. Tracy has authored two books in the field of Leadership and professional success, plus the communication assessment and self-study series – Success Circle™ - Four Styles to Championship Communications. Tracy has designed, developed and facilitated more than a dozen corporate coaching programs for several coach training programs around the world. Curriculums range from entry level coaching skills to the most advanced skills training. She sits on the faculty of multiple coach training organizations and universities within the United States and international locations. Professional affiliations include the International Coach Federation (ICF) where she has been the 2007 and 2008 Chair of the Credentialing and Program Accreditation Committee and former Assistant Chair and member of the ICF Membership Committee. Tracy sits on the faculty of Corporate Coach U International's (CCUI) Corporate Coaching Program (1999-present) and was the Director of Accredited Programs CCUI (2000-2005). Today she continues her active involvement in the coaching profession as a Credentialing Assessor at ICF, multiple coach training programs. Jeff Staggs is an ICF Master Certified Coach with nearly twenty years’ experience coaching senior executives. For the last nineteen years, Jeff has built his business specializing in coaching senior leaders in Fortune 500 companies both in the U.S. and Internationally. His client work has focused on CEOs, board presidents and VP and above executives. Jeff designed and delivered the first coaching program to be fully integrated into an MBA program for Capella University and was an adjunct staff member in the MBA program. He is the co-designer of Breakthrough Coaching and Feedback. Jeff has been a leader in the field of coaching and is a founding member of the International Coaches Federation and the Minnesota Coaches Association. He is a current member of the ICF Assessor team and a member of the team that trains new assessors for ICF. He is on the team responsible for writing the ICF credentialing standards and more recently, the MCC examination process. Jeff chaired the 2008 ICF International Conference in Montreal. He has supervised well over a hundred coaches in both the US and internationally and has trained numerous coaches as a staff member for the Coaches Training Institute. Jeff also conducts international training courses for advanced coaching, regularly training in the UK and Denmark. Russ is an executive coach and leadership consultant with over 30 years of CEO, executive and entrepreneurial experience. His clients are executives, business owners, professionals and government leaders around the world. He specializes in leadership skill, team building, effective communications and onboarding/transition coaching. He has designed and implemented multi-year, multi-level executive coaching/culture change programs for businesses. He holds the highest level credential from ICF – Master Certified Coach (MCC). He was trained in business coaching at Corporate Coach U and in personal coaching at the Coach Training Institute. He holds certifications from the Center for Creative Leadership; Society for Learning at MIT; and various organizational development and assessment organizations. He is a Certified Business Coach.Russ is a leader in the coaching profession. He is a founding officer of his metropolitan ICF chapter; has served on several ICF international committees (Membership, Research & Development, Credentialing); has been a selected speaker at ICF conferences in the US, Italy and Australia; is a Faculty member at two ICF accredited coach training schools; and is a Certified Mentor Coach at Coach U.
Agnes Mura, MA, is a globally experienced Master Certified Coach to Global 1200 C-suite and senior executives, boards, business owners and service professionals. As a business leader, she serves on the Board of Directors of AIRCASTLE, a multi-billion dollar publicly traded global company (AYR: NYSE) that acquires, leases and sells high-utility commercial jet aircraft to airlines throughout the world. On the Compensations and Governance committees she is appreciated for her expertise in strategic leadership and global talent development: "Building talent at the speed of business". For over 18 years, as president of her firm AMI, she has demonstrated success and in coaching leaders through high-stakes high-performance challenges of all types - individually and in teams - including performance leaps, role expansion, dramatic change in location or geographic reach, integration in new corporate cultures, and how to successfully shift the culture of a team, a function or a board. Executives and teams turn to Agnes Mura at the critical junctures to strengthen skills (e.g. developing their strategic abilities, managing dispersed multi-cultural teams and companies) or to vastly expand their leadership competencies (e.g. influence, executive presence, stakeholder negotiations, creating engagement, public communications, global emotional intelligence, matrix collaboration). When designing and delivering leadership development programs for senior or emerging groups of global leaders, she directly impacts each firm’s culture and results. She performs thorough and transformational evaluations for public and private boards and their C-suite executives. Agnes Mura also leads powerful team building processes for executive teams and boards, and regularly facilitates creative retreats (e.g. strategic planning / scenario planning) for her client companies. She is an adjunct faculty member in the University of Miami’s Certified Professional Coach program. She was a founding director of the Professional Coaches and Mentors Association, the founding president of the International Consortium for Coaching in Organizations, author of several leadership publications (and two books on executive coaching) and prominent as an expert Assessor, certifying professional coaches for the International Coach Federation. Agnes Mura’s personal journey as a leader was forged in her escape from communist Romania; then included teaching and running an academic program in Germany, helping break the Soviet boycott of the 1984 Olympics as the Los Angeles Olympic Organizing Committee’s Envoy to Romania, and a ten-year management career in international banking. Her last role at Bankers Trust Co. of New York was Mexico Country Head for private banking and California Representative. She earned her BA at Edinburgh University, UK, and her MA from Cologne University, Germany. Fluent in six languages, she is coaching and consulting worldwide. Her clients have included: AT&T, Accenture, Agassi Preparatory College, Avon, Bank of America, Bayerische Vereinsbank, Banco Santander, The Coca Cola Company, Citizens of the World Charter Schools, ConAgra, CEMEX, Citi, Coors, CBS Paramount, Catholic Healthcare West, Dell, Deloitte & Touche, DineEquity, East West Bank, ExEd, Experian, Gilead Sciences, Goodyear, Habitat for Humanity, Kraft Foods, KPMG, Lovelace Health System, Mission Hospital, Mercer, MGM, Merck, Maytag, Medtronic, National Australia Bank, Novartis, Nissan Mexico, Raytheon, Roche Mexico, Saatchi & Saatchi, Sony, Symantec, Shuffle Master, Sun Microsystems, Toyota, TRW, US Foods, UBS, Time Warner, and many “fast” small and mid-size firms in the US and abroad.